The SEC Government-Business Forum on Small Business Capital Formation took place last week at the Securities and Exchange Commission Headquarters in Washington, DC. I will admit that I was very excited to attend this event. 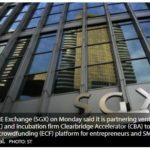 This was the first event we attended last year shortly after we founded Crowdfund Insider, and it was my first opportunity to meet a lot of the stakeholders that are aiming to build an industry around equity crowdfunding and the JOBS Act. Last year’s forum was a raucous event where entrepreneurs and advocates for access to capital took to the microphone to voice their opinions on what the JOBS Act hoped to be, where it fell short and where it stood to help entrepreneurs in new and exciting ways. Each year the event is split into two sessions, a morning forum and a group of afternoon breakout sessions. Last year’s afternoon session on crowdfunding was packed. A lot has changed in the last 12 months. Title II of the JOBS Act has now resulted in the implementation of Rule 506(c) of Regulation D. For the first time, entrepreneurs seeking capital are allowed to generally solicit their offerings to the public as long as funding comes via accredited investors. Concurrently, we have proposed rules for Section 4(a)(6) of the Securities Act, which will legalize popular equity crowdfunding for the masses for the first time. It is a revolutionary idea that finally combines the realities of raising capital with the reality of the Internet as an ubiquitous means of communicating in the modern world. As I said, last year’s afternoon breakout session was positively crazy. There was a line at the mic. Certain entrepreneurs showed up with hit lists of points they wanted to make in the presence of the SEC. A duo of co-founders from RocketHub stick out in my mind as being particularly well-prepared to address the Commission. This year’s event was sparsely attended at best, and a rough estimate would put this year’s crowd at about half of last year’s. I’m left wondering why that is. It is important to note that this is one of the rare circumstances where the general public is invited to speak one-on-one with representatives and staffers from the Commission en masse. In short, it is vitally important that the interests of the crowdfunding industry are represented at this event if the industry wants to be heard. To be fair there were attendees in the crowd that made sure of that. I’ll talk more about that in a bit. So, why the light attendance? In my mind there are only four possible reasons. One is that crowdfunding entrepreneurs may just be busy working on their products as we approach implementation, but that does nothing to diminish the event’s importance. The second is that the proposed rules may have gone a long way to addressing the concerns of the industry, which in theory could be a good sign for entrepreneurs considering crowdfunding as a way to raise capital for their businesses. The latter of the possibilities come with some concerns, one being that crowdfunding industry stakeholders are victims of their own burn rates in the wake of a longer-than-expected wait on implementation of Title III. The last – and perhaps most foreboding – possibility is that crowdfunding stakeholders may not feel they’re being listened to. Regardless, this was not a strong showing by the crowdfunding industry. If there are future grievances on finalized rules, let it be known that much of the industry didn’t show at what may have been their best opportunity to have their collective voices be heard.